Prize Drawing tool - Having a drawing or raffle during your event? 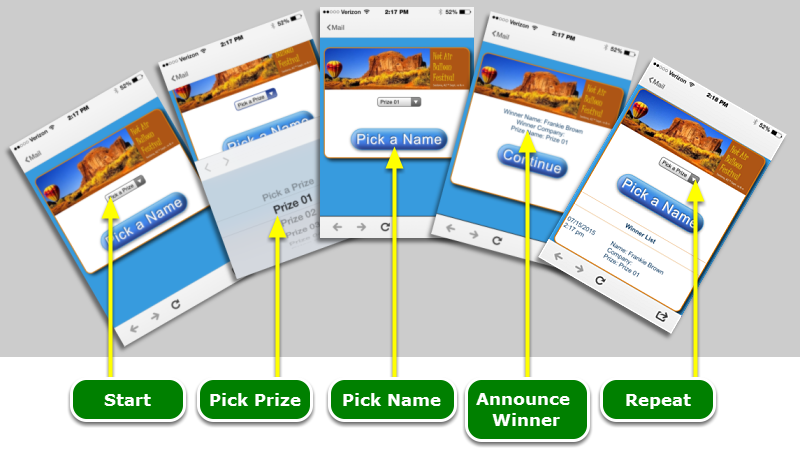 Use the Prize Drawing app to "pull winners"
As your event's start date draws ever closer, the Reminder Bot will email you reminders about certain milestones during your event's timeline. 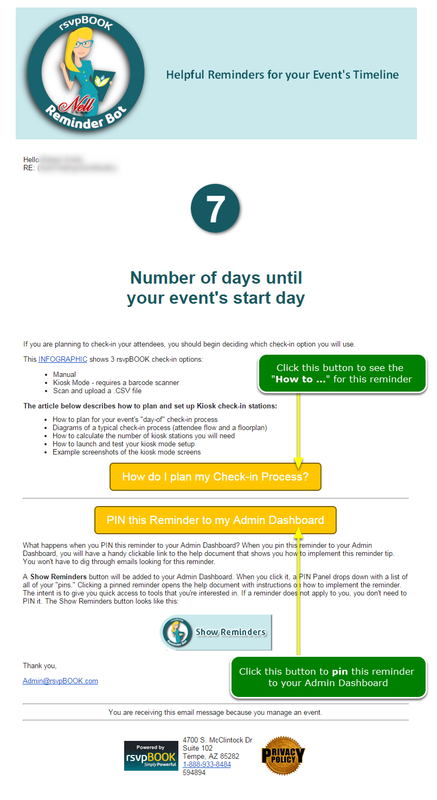 For example, 7 days before your event's start date, you will be reminded to send or schedule the Reminder to Attend email message. In each message, there is a PIN This Reminder ... button which puts the reminder on your Admin Dashboard in a convenient, out of the way place. When you're ready, click the Show Reminders button to view the reminders that you have pinned. Clicking the reminder link displays a help article describing how to accomplish the topic of the message. Below is an example reminder message to begin planning your check-in procedure. 2.1. Where is the Show Reminders button on my Admin Dashboard? 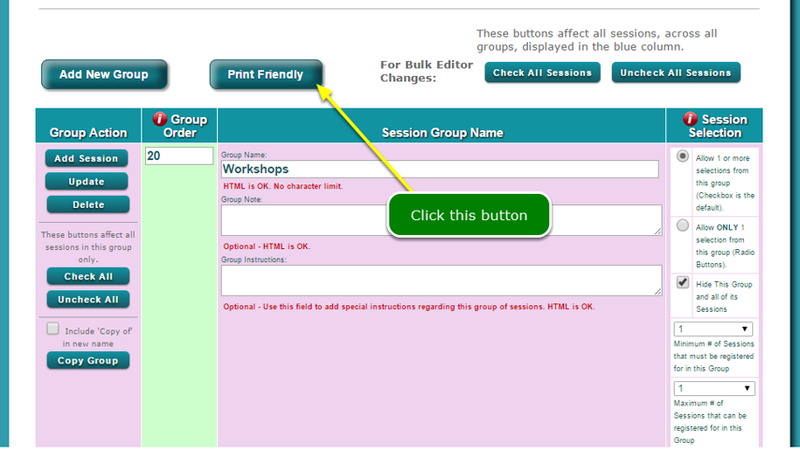 The Print Friendly button downloads this .CSV file which includes all of your sessions and all of their attributes. This is useful to double check all of your session information from one screen. 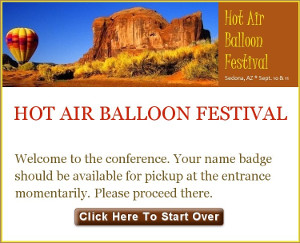 This on-site check-in tool has been streamlined and simplified for a faster setup and more efficient experience for your attendees. Here is a an INFOGRAPHIC that shows all 3 on-site check-in options. This article shows you how to set up the kiosk tool. Two new templates In support of the new tools included in the check-in procedures have been added to the Email Wizard's New Template section. If you didn't plan your check-in procedure during your event setup and later decide to scan barcodes at check-in, this new template is a quick way to get their barcode into their hands. You can also add instructions to the message, such as: "Pick up this message on your smartphone so that we can scan it when you arrive." As with all of the email templates, these 2 are also set up and ready to send right out of the box. Of course, you can personalize them and add other information. How do I setup and use the Prize Drawing tool? There are new checkboxes in the Report Wizard's > Sessions section. 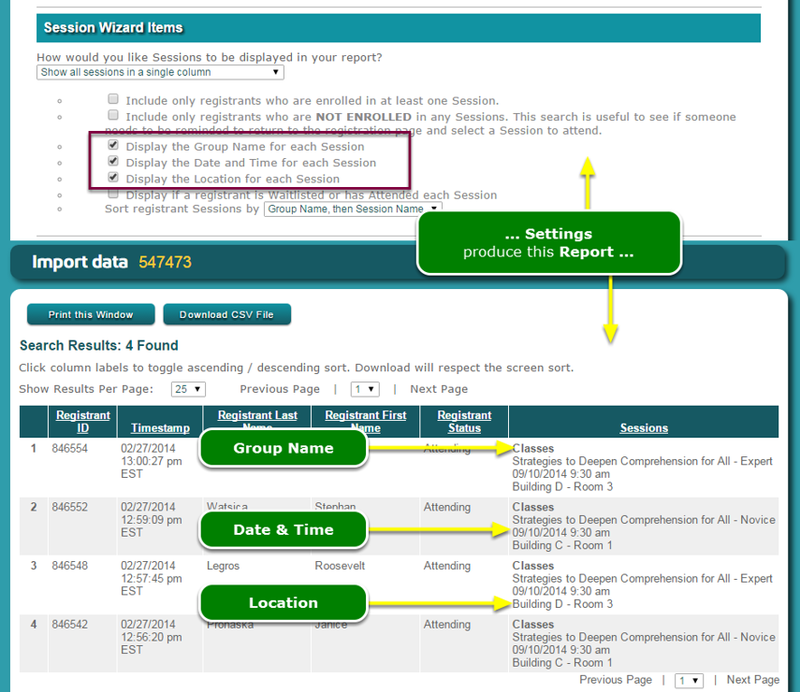 They are used to turn on the display of the session's group name, session location and/or session date/time in the report. The checkboxes only affect the display of the session names in the report. They do not change the names of the actual sessions. The report display is below the settings page. On the Registrant List, you can view and download the change log for each registrant from the Action column. The change log is a report of when, and who, and what was changed in a registrant's database record. You can download this report for a single registrant or all of the "changed" registrants in one file. The "all registrants" report filters out registrants who have not changed their record.